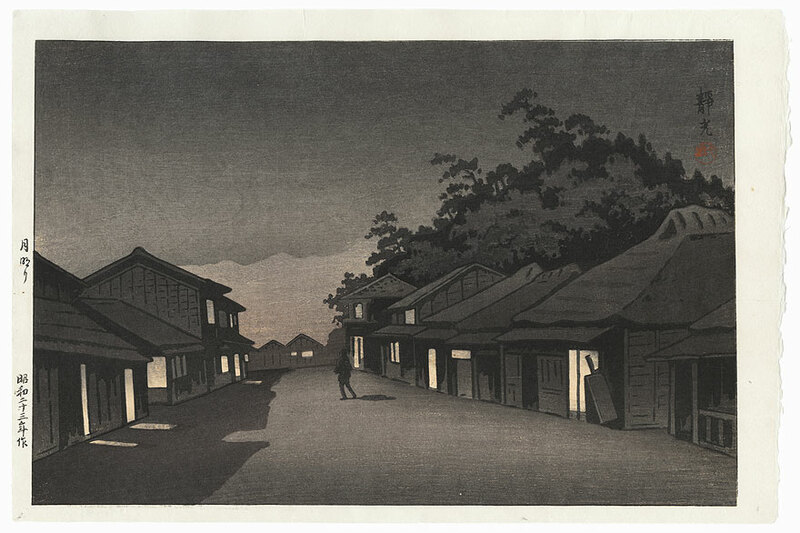 Comments - Lovely shin-hanga scene of a man walking down a street illuminated by moonlit. 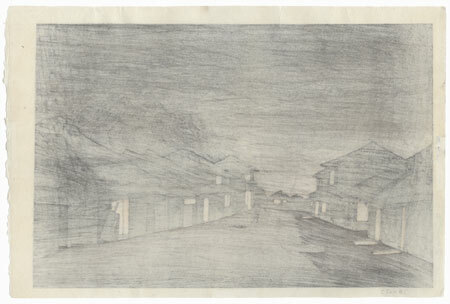 A warm glow comes from the windows and doors of the buildings lining the road, with the moonlight casting shadows across the ground. 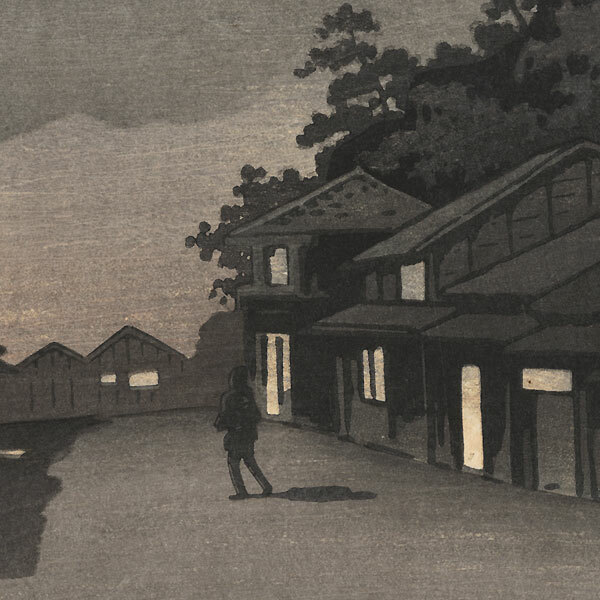 The scene is rendered black and warm shaded of gray. A striking design with wonderful handling of light. The first time we've seen this subject in this color palette. Condition - This print with excellent color and detail as shown. A few light creases at edges. Please see photos for details. Nice overall.